Indian spinner Ravichandran Ashwin became the fastest bowler to take 250 Test wickets and surpassed Australian legend Dennis Lillee. 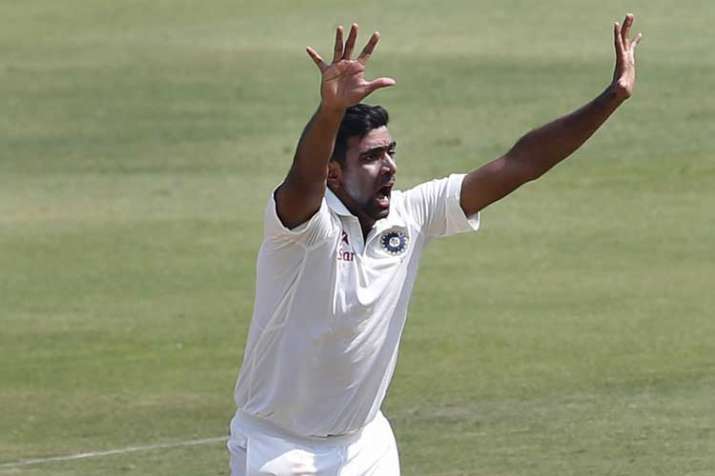 Indian spinner Ravichandran Ashwin on Sunday added another feather to his cap when he became the fastest bowler to take 250 Test wickets and surpassed Australian legend Dennis Lillee. Ashwin who needed two wickets before the start of the ongoing one-off Test against Bangladesh here, achieved the milestone in 45 Test matches while Lillee had reached the 250-wicket mark in 48 matches. Ashwin scalped all-rounder Shakib al Hasan (82) on third day and then sent back skipper Mushfiqur Rahim (127) in the first session on the penultimate day to achieve the landmark. India took a lead of 299 runs after Bangladesh were bowled out for 388 shortly before lunch on day four. For the visitors, skipper Rahim (127), all-rounder Hasan (82) and Mehedi Hasan Miraz (51) were the major contributors for the cause. Umesh Yadav took 3-84 and Ravindra Jadeja finished with 2-70.